A taxi cab at work on the nighttime streets of some anonymous city. 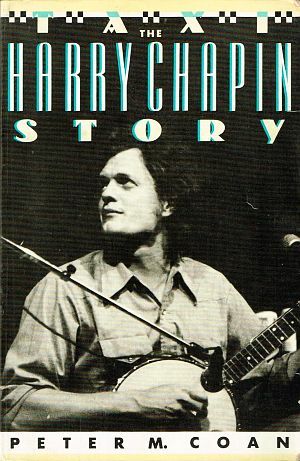 It was sometime in early spring of 1972 that a little-known American musician named Harry Chapin made a national TV appearance on The Tonight Show with Johnny Carson. In those pre-cable, pre-internet days, with only three major over-the-air TV channels, Carson’s late night show had a good share of the viewing audience. Harry Chapin was then a folk rock singer-songwriter who had been playing New York City nightclubs with his small quartet and receiving some local notice. But nationally, he was virtually unknown. On Carson’s show that night, Chapin performed his song, “Taxi,” about a cab driver who picks up a female passenger whom he discovers, after a few looks in his rear-view mirror, is a long lost love from his youth. “Taxi” is a song filled with hard-luck poignancy, life-lived serendipity, and what-might-have-beens. And on the Carson show that night, Chapin’s performance wowed the late night audience. His appearance was followed by viewer phone calls and telegrams sent to NBC praising the performance. In fact, at the time, Johnny Carson himself was so taken with Chapin’s performance that he invited him back to perform the following night. Reportedly, it was the first time in the show’s history that Carson had brought a performer back the very next night for an encore performance. But apparently, the chemistry with Carson was for real, as during his career, Chapin would appear on Carson’s show more than a dozen times. 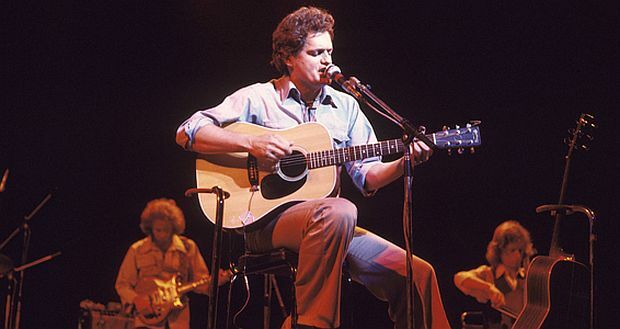 Harry Chapin performing in the 1970s. 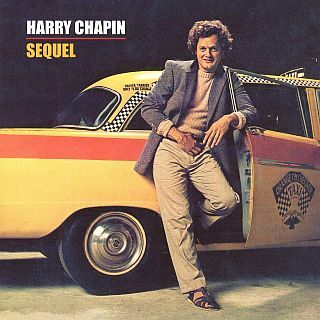 In any case, “Taxi,” and the Carson show appearance that spring of 1972, helped launch Harry Chapin into national prominence. Only months before, in November 1971, Chapin had signed a big recording contract after something of a bidding war had broken out over signing him between Columbia’s Clive Davis and Elektra’s Jac Holzman. Elektra won in the end, and Chapin got free recording time as part of his deal. By March 1972, Chapin released Heads & Tales, his first studio album. It included “Taxi,” and both the album and single had successful chart runs for about six months, each selling more than 1 million copies. Chapin also had a supporter in WMEX-Boston radio DJ, Jim Connors, who helped push “Taxi” up the pop charts – lasting 16 weeks on the Billboard Hot 100, peaking at No.24. Billboard would also rank the song at No. 85 for the year of 1972. But “Taxi” had not been expected to do well, especially since it ran nearly seven minutes in playing length (6:47), while most A.M. radio stations at the time rarely used recordings of more than two minutes. But progressive FM radio stations were coming into vogue at the time, exploring lengthier musical formats and even entire albums, a development which also helped “Taxi” get air time. In any case, “Taxi” sent Chapin on his way, providing huge career momentum. And even today, nearly 50 years later, “Taxi” still resonates with many listeners. Below are the song’s lyrics along with some narrative comment. Harry Chapin's song "Taxi" begins with a lady hailing a cab in a San Francisco rain. Click for digital version of song. I said, “How are you Sue? 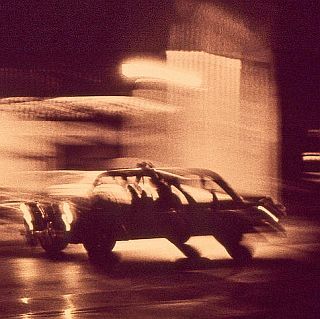 The song features its cab driver narrator in San Francisco coming to the end of a long rainy night, and needing one more fare before calling it quits for the evening. He picks up a lady who has waved him down at a stop light. She is dressed in an evening gown. When she enters the cab, he offers a sympathetic comment about the rain ruining her gown. She simply stares out the window and gives him the address. But as they drive on and sit in silence for a time, she looks into the mirror to see his face, and then views the cab-driver license posted on the back of the front seat with his name, photo, and license number. Then Harry the cab driver appears to begin a life assessment of sorts – and it’s not clear whether this is just his own “talking-to-himself” private assessment, or something that he and his lost love are having a conversation about during the cab ride — catching up a bit, to learn what’s gone on in each other’s lives? Here is the frustration of what people feel when they realize they will never reach their dreams, though they still have the desire; but that life has now become something less than what they had hoped for. Grainy photo of Clare Alden MacIntyre in later life. Chapin’s brother and fellow musician, Tom, during a 2016 interview, would flesh out more details about Harry’s old girlfriend and the lady character in “Taxi.” Her name was Clare Alden MacIntyre, and Tom described her “an early, formative love” in Harry’s life. She came from the prosperous Scarsdale area, while Tom and Harry were from Brooklyn. Harry and Clare had met as summer camp counselors in the early 1960s. 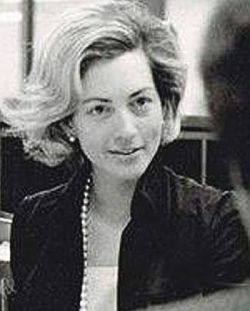 She was the daughter of Malcolm MacIntyre, a lawyer and corporate executive who headed up Eastern Airlines from 1959 to 1963. Clare’s parents, in fact, weren’t wild about the budding relationship between their daughter and Harry Chapin. According to Tom, Clare’s father viewed Harry as something of a ne’er-do-well, not worthy of his daughter’s affections. Harry Chapin, Elektra promotional photo. 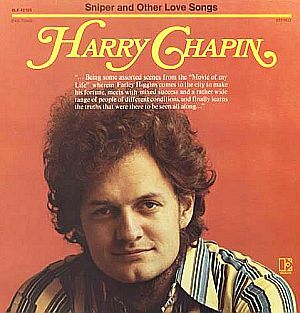 Harry Chapin's second album, "Sniper and Other Love Songs". Click for album choices. 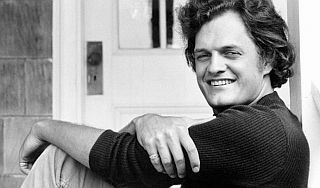 Meanwhile, through the 1970s, following the success of “Taxi” and his first album, Harry Chapin remained popular, recording a number of other “story songs” and successful albums. Chapin’s third album, Short Stories, came out in 1973 and spawned the million-selling hit, “W.O.L.D.,” using the call letters for a radio station who’s devoted disc jockey has neglected his family, the song penned from the wife’s perspective. “W.O.L.D.” was inspired by an American radio personality from Boston who Chapin knew, with the song’s story focused on a workaholic-damaged marriage. “W.O.L.D.” became a top 40 hit in 1974 on the Billboard Hot 100, top 10 in Canada, and in the Top 20 in various other countries. Cover of Harry Chapin's No. 1 hit single of 1974, "Cat's In The Cradle". Click for digital single. 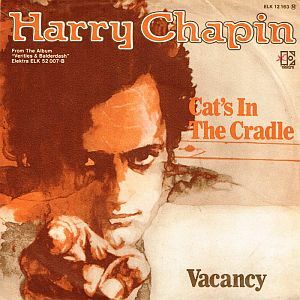 In 1974, Chapin released, Verities and Balderdash, his fourth album, which sold 2.5 million units, largely due to the single, “Cat’s in the Cradle,” his No. 1 hit. This song is about a father who didn’t find time for his son during his childhood, and finds as he grows older, his son has become “just like me,” and does not spend time with his aging father. “Cat’s in The Cradle” earned Chapin another Grammy nomination for Best Male Pop Vocal Performance. He was also inducted into the Grammy Hall of Fame. Verities and Balderdash peaked at No. 4 on the Billboard 200. The album’s follow-up single, “I Wanna Learn a Love Song,” charted at No. 7 on the Billboard Adult Contemporary chart. The song is a true story about how he met his wife, Sandra Chapin. By 1976, Chapin was established as one of the most popular singers of the decade. A live album came that year, Greatest Stories Live, selling 2.1 million copies. By the end of the decade, he was doing more touring, though still releasing one album a year. 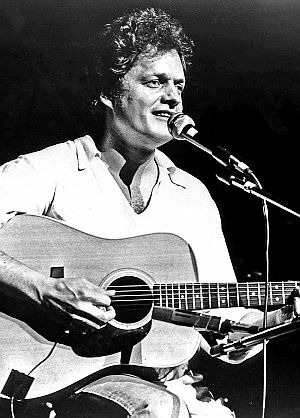 Harry Chapin proved to be a popular act, selling out arenas and concert halls, some exceeding 250,000. He was then earning an estimated $2 million per year, through 1981, making him one of the highest paid artists in the world. And despite almost no promotion for his later albums with Elektra, they all sold well and charted. 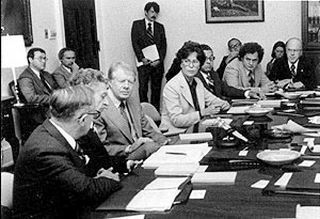 Harry Chapin at the White House, three chairs down from President Jimmy Carter's left at Hunger Commission meeting. Harry Chapin, however, was not just a musician; he was also an intensely committed social activist. 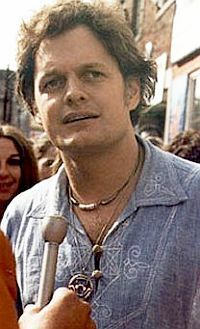 By the mid-1970s, Harry Chapin was devoting more of his time and energy to various activist and charitable causes – one of which was hunger. In 1975, he co-founded World Hunger Year with radio host Bill Ayres, and also became a key player in the creation of the Presidential Commission on World Hunger under President Jimmy Carter in 1977. Chapin was reportedly the only member of that commission who attended every meeting. He became something of a regular in Washington, DC. advocating for anti-hunger initiatives. He was also involved in a number of other social causes, from helping local food banks to historic preservation. By the mid- and late 1970s, Chapin was performing over half of his 200 concerts a year for charitable causes. By one count, in 1977 he earned $2 million, giving away some $700,000 to charity. In those times, according to some sources, Chapin was known for keeping “a totally insane schedule” between his music career and his various charitable causes. Album cover for Harry Chapin’s “Sequel” of 1980. Click for CD. In 1980, as his contract with Elektra expired, Chapin signed a one-album deal with Boardwalk Records. It was at this point he made an attempt to reconnect with his first hit, “Taxi,” naming a new album “Sequel,” which included a single by that name as well. “Sequel” continued the story of Harry and Sue. In the song, Harry is no longer driving cabs, but returns to San Francisco as a successful singer for a concert appearance. While in San Francisco Harry hails a cab, instructing the driver to head for “16 Parkside Lane,” where he had last seen Sue. When he arrives at the address, Sue no longer lives there, and is given the name of an apartment building at another address. There, he finds Sue, now divorced but happy. She likes herself. He invites her to his concert. She says no, she has to work that night. He tries to give her money, she refuses. It’s unclear if they make love or not. What is clear is that they are each in a better place than they were before. “Sequel,” the single, became a top 25 hit on the Billboard Hot 100 and the album sold 500,000 copies. Following “Sequel,” Chapin was coy about whether there would be another “Harry and Sue” song down the line. But it was not to be. On July 16, 1981, Chapin was driving in the fast lane on the Long Island Expressway on the way to perform at a free concert that evening in East Meadow, New York. Along the way, near the Jericho exit, as his car had slowed for some reason, he put on his emergency flashers, veering into the center lane, then swerving left and right. At that point, a tractor-trailer truck traveling behind him could not brake in time to stop, ramming into and climbing over Chapin’s 1975 Volkswagen Rabbit, rupturing the fuel tank which burst into flames. The truck driver and a passerby cut Chapin’s seat belt and removed him from the burning car through a window before the car was entirely engulfed. Chapin was then helicoptered to a hospital where doctors tried to revive him to no avail. Harry Chapin was 38 years old. Harry Chapin performing, here with other backing musicians, but sometimes on tour, he performed solo. Chapin, by many accounts, was a multi-talented artist, with works in film, stage, and poetry in addition to his music career. A documentary film he made in the late 1960s with Jim Jacobs, titled Legendary Champions, was nominated for an Academy Award. And a 1975 musical stage production, The Night That Made America Famous, ran on Broadway for 75 performances and was nominated for two Tony awards. Chapin’s musical legacy includes nine studio albums, two live albums, thirteen singles, and 14 compilation albums. His total record sales were in excess of 16.7 million copies. In December 1987, he was honored at an all-star Carnegie Hall tribute. At that tribute he was also posthumously awarded a Special Congressional Gold Medal for his campaigning on world hunger and other social issues. An album documenting the event, titled Tribute – with performers including Judy Collins, Richie Havens and Bruce Springsteen – was released in 1990. At his passing, Harry Chapin was also lauded by activists and politicians who knew him outside of music. In recent years, Harry’s widow, Sandy, has served as chair of the Harry Chapin Foundation, where she has continued to pursue Harry’s legacy. His son, Josh, has also been involved with the foundation, along with other family members. Peter Coan's 1987 book, "Taxi: The Harry Chapin Story," paperback version shown, Lyle Stuart, 542pp. Click for book. 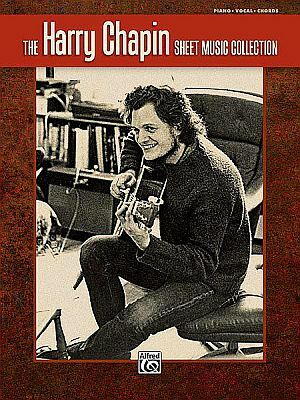 Harry Chapin Sheet Music Collection & Songbook (2009), described as “a moving account of Chapin's legacy as a pioneering 'story song' writer, performer, and philanthropist...” Includes sheet music for 24 of his most beloved songs. Alfred Publishing Co., 176pp. Don Heckman, “Harry Chapin Shows His Style In Program at the Bitter End,” New York Times, April 7, 1972, p. 25. Don Heckman, “America — A One-Hit Phenomenon?,” New York Times, April 30, 1972, p. 28-D.
Henry Edwards, “‘Story Songs’ From Harry Chapin,” New York Times, December 12, 1972, p. 63. “Chapin is Multi-Talented Man,” The Merciad ( Merceyhurst College, Erie, PA), April 2, 1976, p. 3. Tony Kornheiser, “Harry Chapin: Words and Music,” New York Times, December 4, 1977. John Rockwell, “Harry Chapin, Singer, Killed in Crash,” New York Times, July 17, 1981. “Harry Chapin,” in Holly George-Warren and Patricia Romanowski (eds), The Rolling Stone Encyclopedia of Rock & Roll, Rolling Stone Press, New York, 3rd Edition, 2001, pp. 163-164. Carol Strickland, “Harry Chapin: All His Life Was a Circle,” New York Times (N.Y./Region), October 19, 1997. Alan Grayson, “Harry Chapin on What Made America Famous,” HuffingtonPost.com, Sep-tember 27, 2011. JC Mosquito, “Almost Hits: Harry Chapin, “Taxi” (1972) and “Sequel” (1980),” Some-thingElseReviews.com, September 10, 2013. Peter Crigler, “Harry Chapin: Balderdash, Charities & Cab Rides, Perfect Sound Forever,” Furious.com, October 2013. James R. Hagerty, “Clare MacIntyre-Ross, Woman Who Inspired Song ‘Taxi:’ 1943-2016; Clare MacIntyre-Ross’s Break up with Harry Chapin in the ‘60s Prompted Him to Write Tune,” Wall Street Journal, March 18, 2016. Peter D. Kramer, “Scarsdale Woman Inspired Harry Chapin’s ‘Taxi’,” The Journal News (lohud.com), March 22, 2016. Jennifer Kathleen, “Harry and Clare, Skyying,” Medium.com, March 28, 2016. Rick Moore, Harry Chapin, “Taxi,” American Songwriter.com, June 20, 2016.